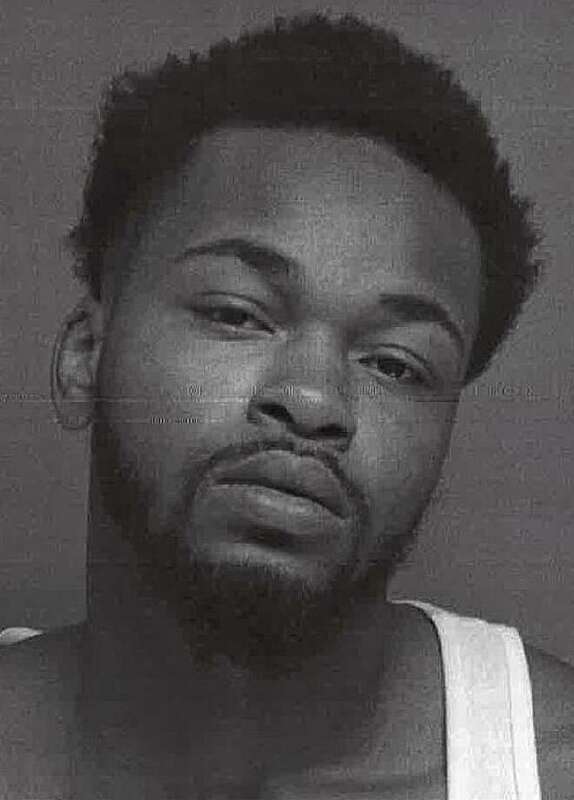 Leonard McNair, 21, of Bridgeport, Conn., was charged with reckless driving, engaging police in a pursuit, evading responsibility after causing physical injury, possession of a controlled substance, first-degree larceny, second-degree criminal trover and second-degree reckless endangerment. BRIDGEPORT — A city man faces several charges after he allegedly led police on a pursuit in a stolen car and crashed last month. Leonard McNair, 21, of Bridgeport, was charged with reckless driving, engaging police in a pursuit, evading responsibility after causing physical injury, possession of a controlled substance, first-degree larceny, second-degree criminal trover and second-degree reckless endangerment. On Sept. 19, around 5 p.m., an officer advised over the police radio waves that he stopped a stolen vehicle in the P.T. Barnum housing complex near Building 4, a recently obtained incident report said. The P.T. Barnum housing complex is an area riddled with narcotic sales and various acts of violence, including shots fired incidents and murders, according to the report. After giving the description of the vehicle, the officer was told “that the vehicle had been used in (a) robbery with a firearm within the past week,” the report said. A registration check confirmed that the vehicle had been entered into the system as stolen. The officer kept an eye on the car and watched a man — later identified as McNair — get into it and sped through a 4-way stop sign intersection, the report said. The officer followed after him and tried to pull him over. McNair allegedly refused to stop. A pursuit ensued, by the officer lost sight shortly after. But the car was tracked down at the intersection of Grove Street and Poplar Street, unoccupied. The car had been involved in a collision and the driver, who police would soon identify as McNair, fled on foot. The passenger of the vehicle that was hit by McNair sustained minor injuries and was taken to St. Vincent’s Medical Center for evaluation, the report said. Police found a man, described in the report to be out of breath and sweaty, nearby and was asked by officers if he knew anything about the pursuit or crash. He said he didn’t, but police detained him and patted him down. When they found keys in McNair’s pocket, he claimed they belonged to his girlfriend. Police matched the keys to the stolen car and arrested McNair. At the time of his arrest, police said McNair was in possession of less than 1 gram of heroin and about 2.4 grams of marijuana. McNair’s bail was set at $25,000, but court records show he was not released from court. He’ll answer to these charges in his next court appearance on Oct. 25.